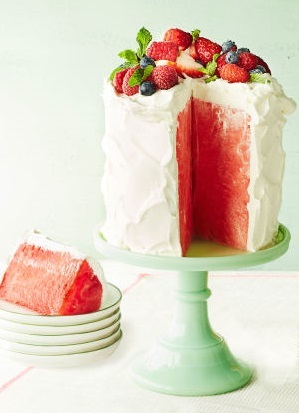 Seeing this simple watermelon “cake” in Good Housekeeping magazine last year piqued my interest. Guilt-free cake? Could it be? OK, so it’s not really cake – but it meets all the requirements for a special occasion. Visually pleasing? Check! Delicious? Check! Festive? Absolutely! And – bonus! – it’s GOOD for you! 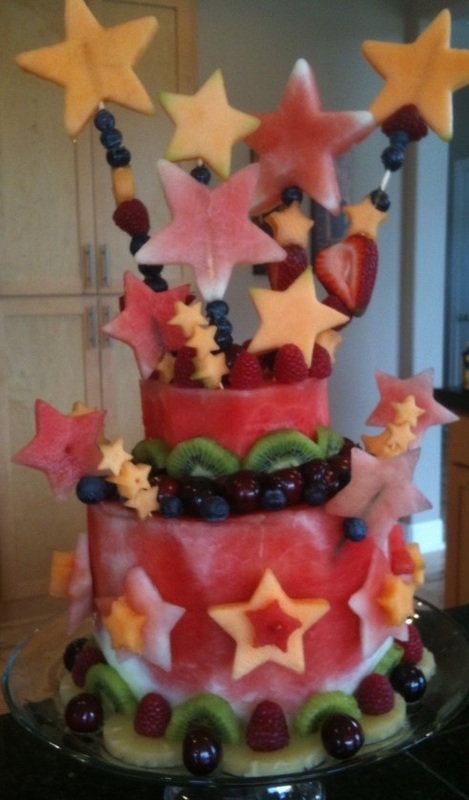 So if you’re looking for something to do with the last of the season’s watermelon crop, throw a party – and let the guests eat cake! 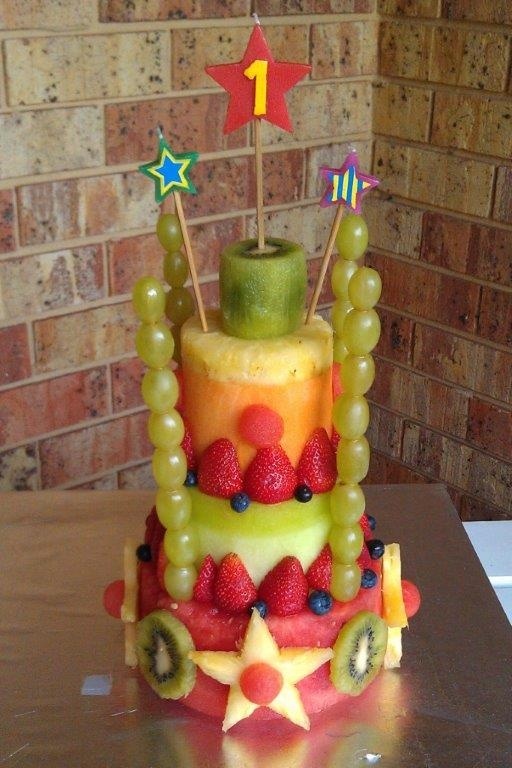 You can keep it simple by coring a cylindrical piece of watermelon, “frosting” with a frozen whipped topping and decorating with fruit. Voila! Your 10-minute cake is complete – and lovely! 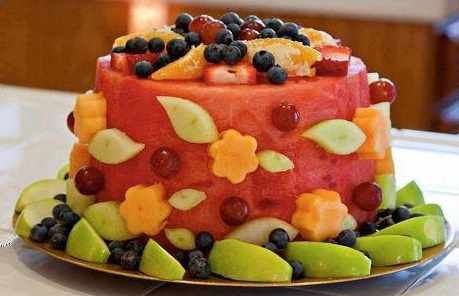 If you want to take things up a notch, you can gussy up your cake by patting on sliced almonds or crushed walnuts along the sides of the “frosting” and creating a pattern on top with fresh fruit. Or skip the “frosting” and go right for the heart for a fat-free delight! 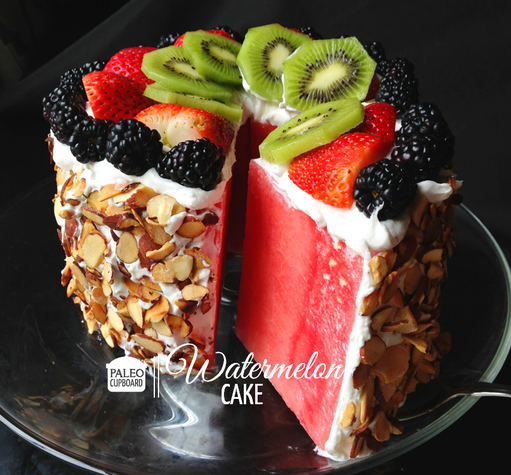 Watermelon cake is a healthy “sweet” for any age! Get creative – your cake decor options are as limitless as your own imagination! 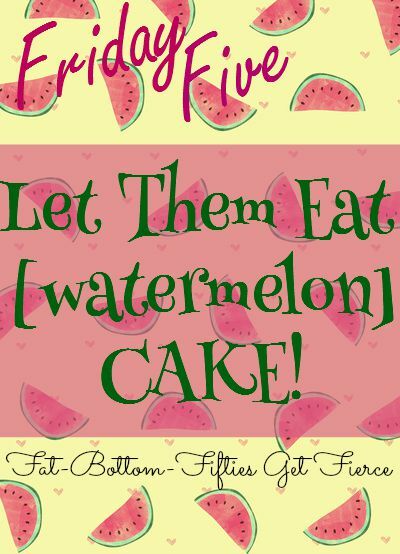 But just so you know, while I’ve been sold on watermelon “cake,” I am taking a pass on watermelon bread!